A strong aluminum 3 layer sandwich base for optimum thermal efficiency Suitable for all typ..
Capacity: 3.0 Liters. High quality durable stainless steel body. Thermal bottom for optimal t..
High quality durable stainless steel body with mirror finish. Thermal bottom for optimal thermal..
Capacity: 3.0 Liters. High quality stainless steel body with satin finish. Upon 70oC the logo on..
Capacity: 3.0 Liters. High quality stainless steel body with satin finish. Upon 70oC the flow..
Capacity: 3.0 Liters. High quality stainless steel body with satin finish. Upon 70°C the flow..
Capacity: 3.0 Liters. High quality durable Stainless steel body. 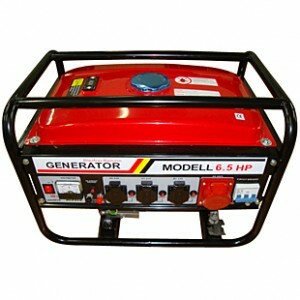 Suitable for all types of hea..
Capacity: 3.0 Liters. High quality Stainless steel body with satin finish. Suitable for all t..
Capacity: 2.3 Liters. Durable stainless steel with mirror polish. Capsulated bottom with aluminu..
Capacity: 2.5 Liters. Durable stainless steel with mirror polish. Capsulated bottom with aluminu..
Capacity: 2.5 Liters. Durable stainless steel with satin polish. Capsulated bottom with aluminum..
High quality durable stainless steel body with mirror & satin finish Bakelite brown handle ..
High quality durable stainless steel body with satin finish Special capsulated multiple layers t.. Stainless Steel body with mirror finish. Suitable for all types of heating sources: Gas, Glass Ce.. Specially designed Ergonomic handles for ease of use Suitable for all types of heating sources..
High quality durable stainless steel body with bronze finish Marble brown handle Suitable for di..
High quality durable stainless steel body with mirror finish. Special capsulated multiple layers ..
Capacity: 3.0 Liters. High quality stainless steel body. Suitable for all types of heating so..
High quality durable stainless steel body with satin finish. Suitable for all types of heating so..
High quality durable stainless steel body with satin finish. Special capsulated multiple layers t..
High quality durable stainless steel body with satin finish. Special thermal logo which changes ..
Capacity: 3.0 Liters. High quality stainless steel body. Satin finish with "mirror stripes". ..
Capacity: 3.0 Liters. High quality stainless steel body with satin finish. Upon 70oC the logo o..